When you’re picking out a beer, what flavors do you look for? If hints of soured milk and burnt rubber, or a “goaty” taste sound delightful to you, then brews that were aged for 170 years at the bottom of the Baltic Sea might just be your thing. 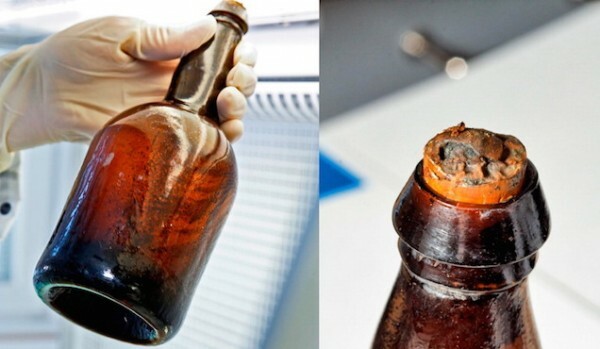 Scientists recently opened two bottles of beer from a shipwreck off the coast of Finland to get a profile of the 19th century brews. The bottles came from 165 feet (50 meters) below the surface of the Baltic, from the wreckage of a schooner that sank near Finland’s Aland Islands in the 1840s. In 2010, divers found 150 bottles of champagne at the wreck, as well as five beer bottles, though one did not survive the journey back to land. When that bottle broke in the divers’ boat, it started to foam, and some gastronomically adventurous divers attested that the liquid indeed tasted like beer, according to the study authors, who published their findings in the Journal of Agricultural & Food Chemistry last month. For a more scientific examination of the beers’ flavor, the research team, led by John Londesborough of the Technical Research Center of Finland (VTT), uncorked two of the surviving bottles. The researchers were hit with a ripe mixture of smells: yeast extract, dimethyl sulfide (think cabbage), Bakelite (a fishy smelling retro plastic), burnt rubber, over-ripe cheese, goat and sulfur. These unsavory notes were likely the result of bacteria growing inside the bottles for decades, overpowering whatever fruity, malt or hop profiles the beer originally had, the researchers wrote. The beers were also “bright golden yellow, with little haze,” and they may have been diluted by seawater by up to 30 percent, the researchers said. So the drinks might have been stronger than their current alcohol-by-volume levels of 2.8 to 3.2 percent. The scientists acknowledged that the beer had not been stored in ideal conditions, and there is little data on the chemical stability of beer over such a long time. Just from sipping the old beer, the researchers couldn’t tell what the drinks may have originally tasted like. Yet, from their chemical analyses, they could speculate a few things. They found that yeast-derived flavor compounds were similar to those of modern beers. They also think the two bottles contained different beers, with one being hoppier (and thus more bitter) than the other. The less hoppy beer had a higher than normal amount of a chemical called phenylethanol, which may have given it roselike notes. There were unusually low levels of 3-methylbutyl acetate (a compound that gives beer notes of banana) in both bottles, but it’s possible that the chemical’s concentration plummeted over such a long period of aging, the researchers wrote. Follow Megan Gannon on Twitter. Follow us @livescience, Facebook & Google+. Original article on Live Science. Brewery Steðja introduces a Thorri beer, Hvalur 2, the replacement of Hvalur Thorri beer of Steðji in the year of 2014. Due to the great popularity last year, the brewers of Steðji decided to introduce a new whale beer. There was a lot of preparation for Hvalur 2 and according to the producers it will be evident in its quality. “We want to create a true Thorri atmosphere and therefore we decided to use smoked testicles from fin whales for flavoring the beer,” Dagbjartur Arilíusson says, one of the owners of the brewery Steðji in Borgarfjörður, about the Thorri beer Hvalur 2 that the company has produced. “The testicles are cured according to an old, Icelandic tradition, lightly salted and then smoked. We put a lot of effort into this and it’s a long process,” Dagbjartur says, adding that each brewing had contained one testicle. According to Dagbjartur, the Beer will be introduced as a special replacement of the Thorri beer that Steðji sold in January last year, containing whale flour. Vesturland Public Health Safety prohibited the sale of the beer, but the flour contained among other things the viscera and intestines of whales. A few days later, Sigurður Ingi Jóhannsson, the minister of Fisheries and Agriculture, decided to allow the sale of the product. A week later, it was sold out when five thousand liters had gone through the liquor stores of the State Alcohol and Tobacco Company of Iceland. “The beer was sold out almost immediately and therefore we decided to produce a similar product for Thorri,” Dagbjartur says. The decision of Vesturland Public Health Safety was confirmed in last October by the Ministry of Industries and Innovation. Therefore, the sale of beer from whale meal is not authorised. “However, we had a great number of challenges where we were asked to have the whale beer available again. This was decided, but we have got all necessary licenses for manufacturing and selling of the beer, ” Dagbjartur says. Helgi Helgason, the director of Vesturland Public Health Safety, confirms that the company is authorised to sell beer containing whale testicles. The beer is 5.1% in alc., with a true, Icelandic smoke taste. A whole testicle is used in every brewing and then the beer is filtered and pasteurized. This is a limited quantity as the raw material is limited, making this beer unique in the world. The liquor stores start selling Hvalur 2 from the Husband’s Day, January 23rd. As we’re sipping away on a glass of stout or Merlot, we probably take for granted our ability to digest the alcohol in the drink. Alcohol, or dietary ethanol (as scientists like to call it), is technically a toxin — imbibing too much can lead to a hangover and even poisoning, of course. 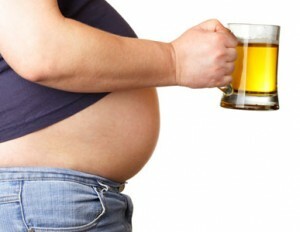 But thanks to enzymes in our gut, and particularly one called ADH4, we can make use of the calories in alcohol. And, according to a new scientific paper, we gained that ability a very long time ago, at a critical moment in our evolution. Matthew Carrigan is an evolutionary biologist at Santa Fe College in Gainesville, Fla., and lead author on the paper. He discovered that the ADH4 enzyme started showing up in the ancestor we share with chimps and gorillas 10 million years ago, around the time when these ancestors started eating fallen, fermented fruit off the forest floor. The findings appear in the latest Proceedings of the National Academy of Sciences. That was a long time before we started making alcohol ourselves around 7,000 B.C. And the timing was important, says Carrigan, because 10 million years ago, the climate was changing rapidly, and the East African forest ecosystem where our ancestors were roaming was replaced with more fragmented forests and grassland ecosystems. The change meant our tree-loving ancestors were probably spending more time on the ground. Down there on all fours, our ancestors had access to fruit that had fallen from the trees and was fermenting — so it had a buzzy kick. And that’s when that ADH4 enzyme seemed to really come in handy. “The emergence of ADH4 in our ancestors wasn’t slow and gradual; it was a rather abrupt shift of a large magnitude,” Carrigan tells The Salt. To figure out when the enzyme might have become a regular in our gut, Carrigan used paleogenetics, an experimental approach in which gene sequences from contemporary species are used to estimate how proteins, and in this case enzymes, evolved over time. This ability to eat fermented fruit — not just ripe fruit — and use the alcohol for energy, as well as the sugars, vitamins and proteins in that fruit, might have helped us survive the changing climate, Carrigan says. But, he says, it also elucidates another dimension of our relationship with alcohol. The findings have intriguing implications for research into the evolutionary origins of alcoholism, Carrigan says. We humans have only been fermenting alcohol for 9,000 years, but his research shows we’ve actually been consuming it for millions of years. So when and why did our relationship to booze become problematic? That’s a mystery that remains to be solved. A man who would get drunk out of the blue without drinking beer? Here is how it happened. A 61-year-old man — with a history of home-brewing — stumbled into a Texas emergency room complaining of dizziness. Nurses ran a Breathalyzer test. And sure enough, the man’s blood alcohol concentration was a whopping 0.37 percent, or almost five times the legal limit for driving in Texas. There was just one hitch: The man said that he hadn’t touched a drop of alcohol that day. Other medical professionals chalked up the man’s problem to “closet drinking.” But Cordell and Dr. Justin McCarthy, a gastroenterologist in Lubbock, wanted to figure out what was really going on. So the team searched the man’s belongings for liquor and then isolated him in a hospital room for 24 hours. Throughout the day, he ate carbohydrate-rich foods, and the doctors periodically checked his blood for alcohol. At one point, it rose 0.12 percent. Eventually, McCarthy and Cordell pinpointed the culprit: an overabundance of brewer’s yeast in his gut. That’s right, folks. According to Cordell and McCarthy, the man’s intestinal tract was acting like his own internal brewery. The patient had an infection with Saccharomyces cerevisiae, Cordell says. So when he ate or drank a bunch of starch — a bagel, pasta or even a soda — the yeast fermented the sugars into ethanol, and he would get drunk. Essentially, he was brewing beer in his own gut. Cordell and McCarthy reported the case of “auto-brewery syndrome” a few months ago in the International Journal of Clinical Medicine. When we first read the case study, we were more than a little skeptical. It sounded crazy, a phenomenon akin to spontaneous combustion. I mean, come on: Could a person’s gut really generate that much ethanol? Brewer’s yeast is in a whole host of foods, including breads, wine and, of course, beer (hence, the name). The critters usually don’t do any harm. They just flow right through us. Some people even take Saccharomyces as a probiotic supplement. “Researchers have shown unequivocally that Saccharomyces can grow in the intestinal tract,” Heitman tells The Salt. “But it’s still unclear whether it’s associated with any disease” — or whether it could make someone drunk from the gut up. Still, such case reports remain extremely rare. Heitman says he had never heard of auto-brewery syndrome until we called him up. “It sounds interesting,” he says. But he’s also cautious. “The problem with a case report,” he notes, “is that it’s just one person. It’s not a controlled clinical study. 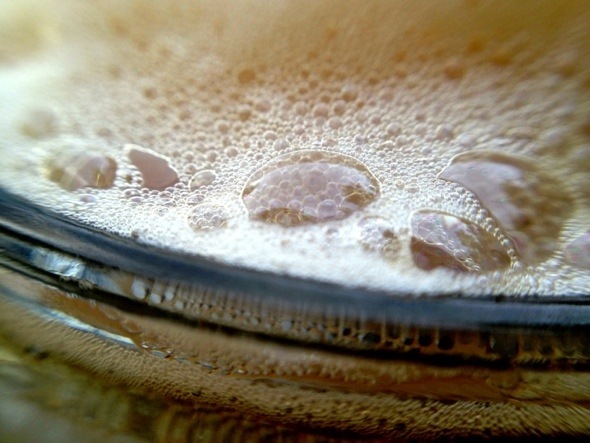 Ever wonder about that bit of the bubbles when you sip a beer or other carbonated beverage. I always thought it was the bubbles that gave the bite. It turns out that the bite is caused by an acidic by-product of the bubbles. New research from the Monell Center reveals that bubbles are not necessary to experience the unique ‘bite’ of carbonated beverages. 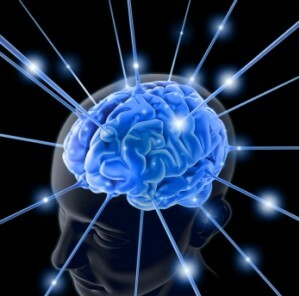 Bubbles do, however, enhance carbonation’s bite through the light feel of the bubbles picked up by our sense of touch. The refreshing bite of carbonation is an integral part of beverages consumed around the globe. Carbonated beverages are produced when carbon dioxide is dissolved in a liquid, typically under high pressure. This can happen naturally in certain spring waters or in fermented beverages like beer. Carbon dioxide also can be added to beverages through production processes. In the study, published in the public access journal PLOS ONE, the Monell researchers examined the role that bubbles play in carbonation bite. In the first experiment, they took advantage of the fact that bubbles cannot form when atmospheric pressure is raised above a certain level. Twelve healthy adults were comfortably seated in a hyperbaric chamber and asked to rate the bite intensity of several concentrations of carbonated water. The ratings were collected once while under normal atmospheric pressure (with bubbles) and a second time at higher pressure (no bubbles), equivalent to diving to a depth of 33 feet in sea water. There was no difference in the bite reported in the two conditions, even though bubbles are physically unable to form at the higher pressure. “Because the subjects experienced the same bite when bubbles weren’t present, the findings clearly told us that carbonation bite is an acidic chemical sensation rather than a purely physical, tactile one,” said study author Bruce Byant, PhD, a sensory biologist at Monell. Although bubbles aren’t necessary for bite, they still could be contributing to the overall sensation of carbonation. Thus, a second experiment was designed to address this possibility. In this experiment, 11 adults rated the intensity of bite in a laboratory setting. The ratings were made for carbonated water under normal conditions and again when additional air bubbles were added to the liquid. The researchers were surprised to find that air bubbles enhanced the bite of the carbonated bubbles, presumably by stimulating the sense of touch. “We thought the touch of the bubbles would suppress the painful aspects of carbonation, much as itching a mosquito bite or rubbing a sore muscle does,” said Bryant. Together, the studies reveal that carbon dioxide bubbles are not directly responsible for the bite of carbonation. However, by stimulating the sense of touch inside the mouth, bubbles do enhance the bite sensation beyond the chemical irritation caused by carbonic acid. Future experiments will continue to explore the interactions between chemical and mechanical stimuli. Ever had a hangover from drinking beer? Well that may be a problem of the past. Good news, beer lovers. You may soon be able to drink a cold one without getting too dehydrated. Australian researchers say they’ve created a hydrating beer by adding electrolytes — a common ingredient in sports drinks. That way drinkers can enjoy their alcoholic beverage, which is known to dehydrate, while still staying refreshed. However, don’t expect the hydrating beer to contain the same amount of alcohol as your average brew. In order to achieve the feat, researchers also had to reduce the alcohol content. The team from Griffith University’s Health Institute recently tested the idea by modifying the ingredients in four different varieties of beer: two commercial, one of average strength and one light brew. Researchers noted that the alterations did not affect the taste of any of the beers. “Of the four different beers the subjects consumed, our augmented light beer was by far the most well retained by the body, meaning it was the most effective at rehydrating the subjects,” Ben Desbrow, an associate professor who led the study, said in a released statement. The altered light beer was also one-third more effective at hydrating drinkers than a normal beer. 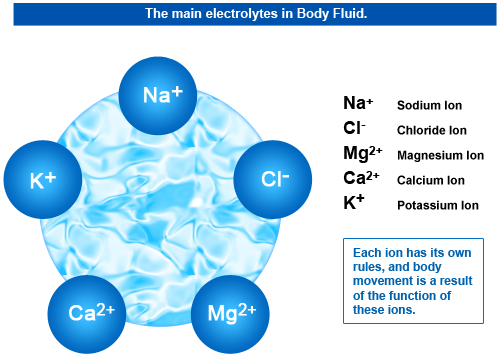 As some have pointed out, this extra bit of hydration during drinking could help ward off hangovers, which are caused by a combination of factors, butprimarily dehydration. Desbrow published the results of his hydrating beer research in the International Journal of Sport Nutrition and Exercise Metabolism earlier this year, but beer fans will likely have to wait for the electrolyte-filled brews to hit shelves. In the meantime, there’s always the just-add-water beer concentrate from Pat’s Backcountry Beverages. Just make sure you hydrate while you enjoy the concentrated brew. Want a better, longer lasting head on your beer? That might now be possible. It seems that it is a particular gene in yeast that give beer it’s head. Scientists may have finally solved a problem that has plagued beer drinkers for ages: Insufficient foam resiliency. As any beer drinker can tell you, a tall glass of lager without a white, foamy head on top just doesn’t look right. And even if you start out with one, it can dissipate fast. And that’s just sad. 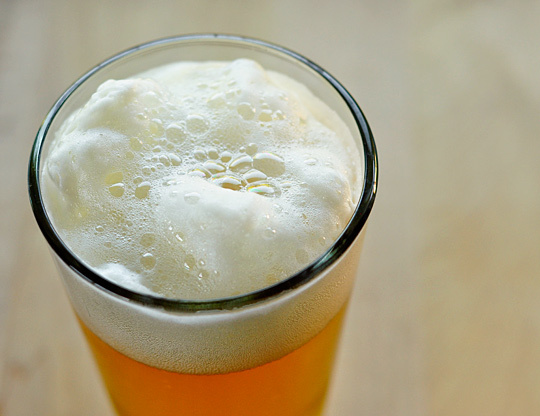 Now, microbiologists have identified the specific gene in yeast responsible for a beer’s head and they say this discovery can lead to stronger, longer lasting, more aesthetically pleasing foam on your favorite brews. Tom Villa, the chair of microbiology at the University of Santiago de Compostela in Spain, says something called the Carlsbergensis foaming gene, or CFG1, is responsible for the white stuff at the top of your mug. As Villa and his colleagues write in theJournal of Agricultural and Food Chemistry, the gene resides in the yeasts used to ferment beer and it produces a protein that binds to the drink’s CO2 bubbles, preventing them from escaping from the glass too quickly. Now that we know exactly which gene is responsible for beer foam, Villa says it’s possible to manipulate that gene to create beer with foam that lasts longer — potentially for hours and hours, as our colleagues at Science Friday reported. Since most people probably wouldn’t be into sipping a frothy merlot, Villa’s discovery will mainly impact the world of beer. And even then, he says, this gene has no impact on the flavor of a beer. How does he know this? Naturally, he called in his students for a little taste-testing experiment.